What it is/what you do with it: a storybook with puzzle and game elements focusing on the alphabet, letter recognition and early reading. 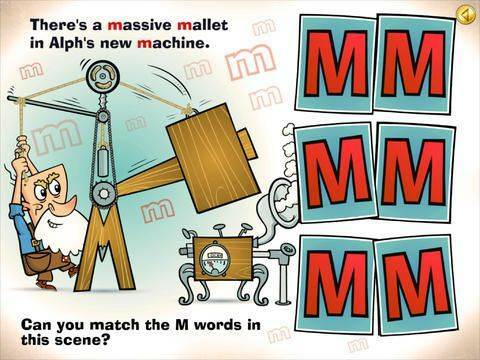 8 main interactive scenes with the first 8 letters of the alphabet (the rest of the letters are included in other activities). 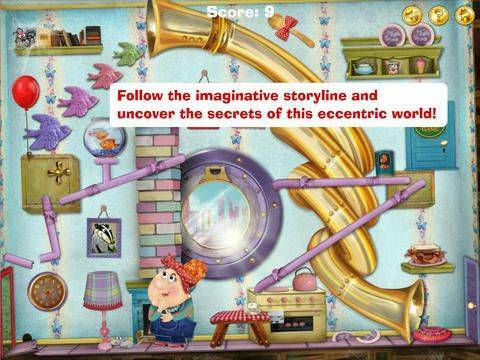 Over 40 puzzles and mini-games. 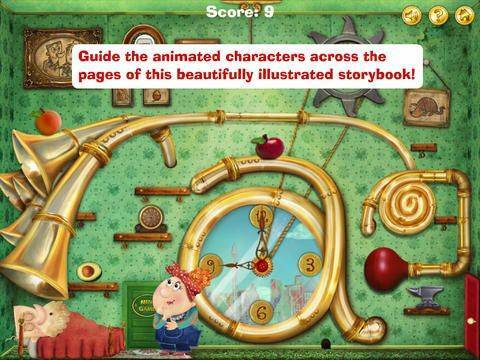 Guide the characters across the pages and help them solve puzzles to complete the story. What we liked: the concept and the story. 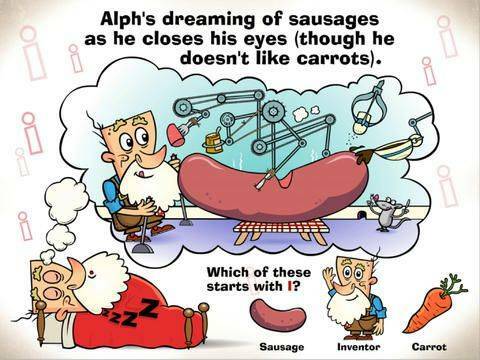 Excellent illustrations and animations. 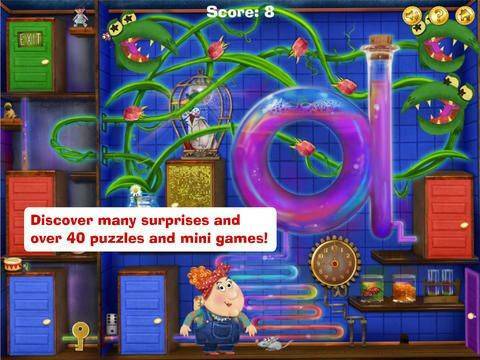 Great number and variety of puzzles and mini-games. Very good educational value. Humor and fun factor. Sounds and sound backgrounds. Ease of use, including spoken instructions and visual clues. Overall quality of the app. What we didn't like: navigating around the scenes may be too difficult for younger kids (we recommend parental assistance). No bookmarking feature (game/story progress is not saved).